Hi - My name is D. I really don't know how to describe what happened to me and three friends, but I'll try to do the best I can. We rented a cabin in the Cabwaylingo State Forest from Friday, July 31st thru Sunday, August 2nd. Everything was fine during the weekend until Sunday morning - or should I say Sunday night. We had a cookout on Saturday night and invited a few people we met. There were no problems - no drugs, just wine and food. We were all feeling fine, but not stinking drunk. The cookout wound down about 2AM and we were in our beds by 3AM. We had to be up, packed and gone by 11AM - we were planning on visiting friends before we made our way home to (redacted). What happened next was totally bizarre. I remember waking up, then looking at my watch - it was 10:07 and it was dark! I looked at my friends and all of them were sleeping except K. She was sitting at the table and staring into the lantern, which was lit and sitting on the table. I jumped up and woke my friends. What the hell had happened? My other friends, M and C, were just has surprised and confused as I. K didn't react to us, even after we tried to question her. She almost looked like she was in shock. It was very warm in the cabin, but her skin was cold like ice and pale. We started to pack up so we could leave as soon a possible. We were on the road headed home by midnight - all of us felt confused. We were all very thirsty also and went through a 6-pack of water very quickly. K was starting to respond to us and was looking better. It took about 2 hours to get home - we all lived in the same apartment complex, so we crashed at my placed. None of us were tired since we apparently had slept all day Sunday, but we were still very confused about not waking earlier. M thought that someone may had put something in the wine and that we had been drugged. I suppose that was plausible, but I doubted that is what happened. As we sat in the living room talking, I noticed K had tears streaming down her face. I asked her why was she crying - she said that she knew what had happened. First for all, I'm not worried about what people think about me - especially if it is the truth. This situation is different because I don't know how to ascertain if what I'm going to describe is the truth or not. I'm going to briefly detail what K said occurred. K remembers waking in the cabin to get a drink. 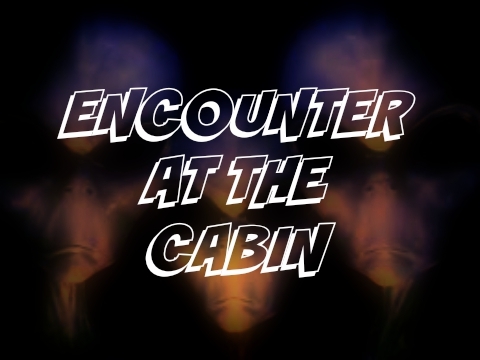 She didn't know what it was but she quickly noticed that something was wrong - she was alone in the cabin. Then suddenly a intense bright yellow light floods the cabin. She can't move but she can see what is happening. We were back in our beds, but there were now 3 tall purple-gray colored beings standing in front of her. K said these beings were about 8 ft tall and very thin. They had large dark oval eyes and a ray or fin that ran from the top of their heads down the middle of the back, which tampered off midway. They made no sounds and moved in a robotic fashion. K didn't recall anything else other than that these beings eventually dissipated one-by-one. She did say that she had a sharp pain between her breasts. She was able to move, so she went and sat down at the table. She remained there until I woke. I've been looking on the internet and found a few references to lost time - your website came up in the search. NOTE: I reached D this afternoon and we talked for about an hour. She agreed to me posting the report, but much of the original text was redacted. I was allowed to refer to her and her friends by the first letter of their names. I asked if I could monitor her for possible effects and that I'd like for her to report any changes with her friends...especially K. I believe K may have experienced shock to some degree...so it's possible that she may recall additionally details later. These young ladies are college age, so their location and other information was redacted.